The ancient Mayans were certainly renowned for creating monumental architectural gems, with hundreds of archaeological sites discovered all over Central America’s Yucatan Peninsula. Although you’ll probably visit quite a few Mayan sites during your tour of Central America, you’ll find none that will match the mystique and sheer mind-boggling size of Tikal. 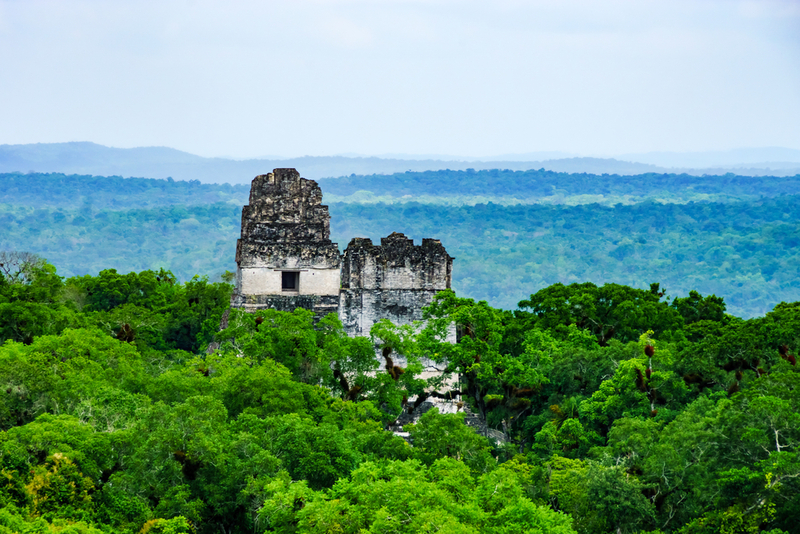 Found hidden among a lush tropical rainforest in the northern Petén province of the country – and boasting over two thousand years’ worth of fascinating Mayan history – Tikal is as revered today as it was at the height of its golden era in the first millennia AD. This is Guatemala’s crowning glory and one of the largest ancient Mayan sites in the entire continent. Tikal Temple of the Great Jaguar. 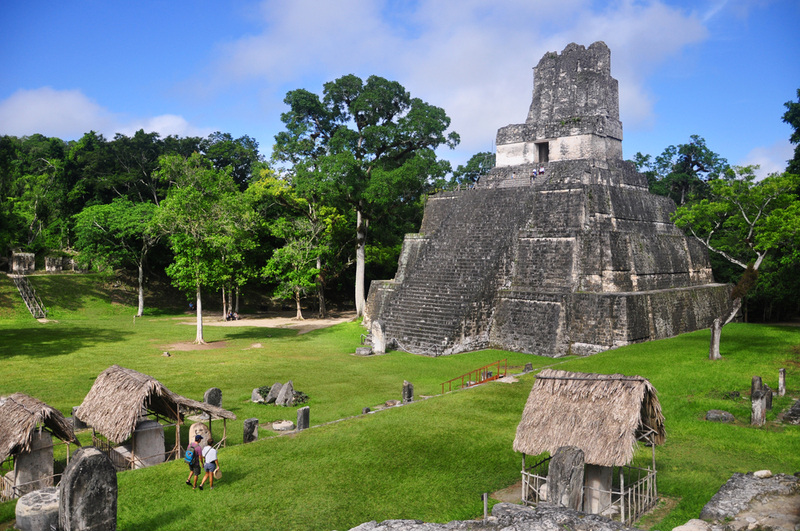 Photo credit: Shutterstock..
Why is Tikal and its Great Plaza so important? The ruins of Tikal – and especially the Great Plaza – are some of the most studied archaeological sites in the world and shed light on the amazing social, economic and political factors that shaped the great Mayan Empire. The revelations derived from this particular site have been invaluable in the anthropological studies of this great pre-Columbian civilization. Moreover, Tikal attracted the most forward-thinking mathematicians, scientists, writers and astronomers of the entire empire, who all left behind some of the most comprehensive research material ever encountered. Tikal in Guatamala. Photo credit: Shutterstock. What eventually became one of the Maya’s most prominent cities started out as a humble agricultural settlement around 300 BC. Within merely two centuries, much of the thick jungle wilderness had been cleared and many of Tikal’s most impressive architectural gems had been built. Agriculture was at the heart of the city’s prosperity, with exploitation of natural resources such as cedar and Brazil wood providing much of the city’s income. Maze was cultivated in jungle clearings and trade with ally cities – such as Kaminal Juyú – boosted the city economically, socially and politically. Cultural and religious practices at Tikal are said to have been greatly influenced after the opening of trade with other formidable Mayan settlements. Tikal’s golden era lasted between the 4th and 7th centuries AD and this was despite losing a battle with nearby Caracol (now in Belize) in 562 AD. The Mayans were as fiercely combative as they were ingenious, and the Great Fall of the Mayan Empire has been attributed mostly to infighting and the incessant drive to conquer fellow settlements. Instead of forming one gargantuan superpower, the Mayans took to creating many smaller ones. Their competitiveness and even greed are said to have been their biggest downfall. Although Tikal was unique in attracting an elite social class of scholars and military greats, many historians believe this was probably what eventually doomed the city. The fall of Tikal, and indeed of the whole ancient Mayan civilization, was primarily the demise of this elite class. 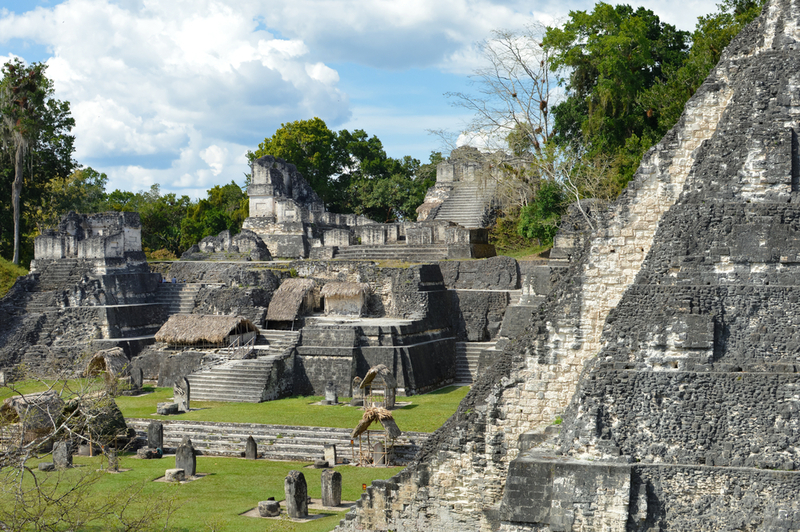 Whatever the case may have been, Tikal and her incredible towering temples were left blissfully hidden until 1848. Tikal in Guatemala. Photo credit: Shutterstock. The Mayan civilization had much in common with other ancient civilizations, in that they were primarily built upon a farming community who pled allegiance to a particular centre or ‘house’. In order to maintain solidarity, loyalty and cohesion, many ceremonial traditions and festivals were held in a city’s main plaza, aimed specifically at ‘keeping the people happy’ and bringing together farmers and residents of the city. Feudal England and Ancient Rome were renowned for such shows of appeasement and the Mayans were no different. The Great Plaza, therefore, was the ceremonial heart and soul of Tikal, yet the somewhat conservative size leads experts to believe it was first constructed before the 3rd century BC and definitely before the city’s population boom, which reached peaks of over 50,000. As more and more people settled here, it seems that one of the ruler’s main objective was the continued expansion of the Great Plaza, the demolition of buildings to create more space, and even the construction of other ceremonial plazas just outside the confines of the city centre. This is what highlights the importance of public performances in the old Mayan world. Perhaps, it is no coincidence that Latin America’s love affair with cultural celebrations (check out South America’s Top 5 Most Inspiring Cultural Festivals for a taste) is world renowned. Whilst nowadays fiestas mainly revolve around food, folklore and fireworks (all three in copious amounts) in ancient times it was religious sacrifices, brutal sporting event, and theatrical extravaganza that brought the people and their ruling class together. The epicentre of life at Tikal, the Great Plaza is nowadays essentially an open grassy area which covers about 1.5 acres, framed by the most impressive and monumental constructions of the city. Temple of the Great Jaguar. Photo credit: Shutterstock. built to house the remains of King Hasaw Chan K’awil in 721, it was constructed by the king’s successor yet probably designed by King K’awil himself. The temple rises 47 metres and is worth the hair-raising climb over narrow steps that are steep enough to give you a head spin. The view up the top, most especially around sunset, is simply spectacular. The temple was highly decorated in its heyday, yet the few items which were discovered in good condition were promptly shipped off to various museums around the world. Temple of the Mask. Photo credit: Shutterstock. believed to have been built as a funerary pyramid for King K’awil’s wife – although no tomb has yet been found – Temple II is also worth a hike even just to admire the carved masks along the stairway. Believed to have been built prior to Temple I, the twin temples were said to have been of the same height, before Temple II lost its roof and, consequentially, 10 metres in height. North Acropolis in Tikal. Photocredit: Shutterstock. 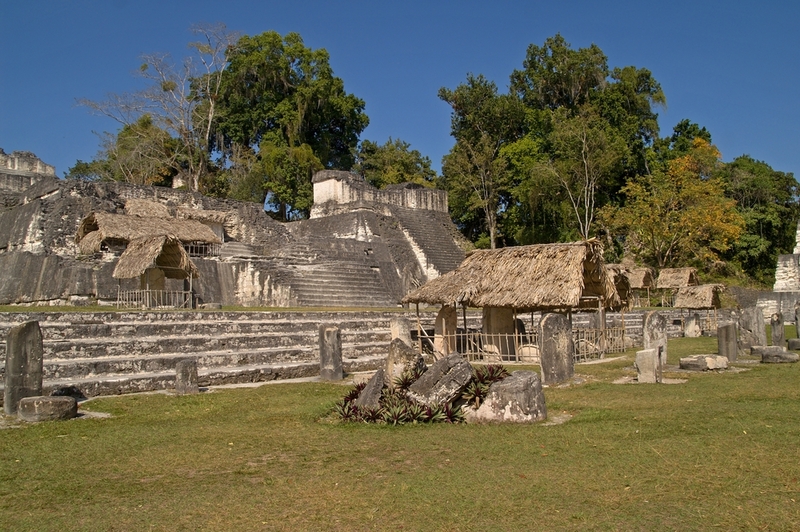 The oldest structure around the Great Plaza was one of the earliest major buildings constructed at Tikal. It housed over 100 structures and was the main focal point of the plaza before the above-mentioned pyramids were built. It was here that the elite were buried for more than five centuries. Central Acropolis in Tikal. Photo credit: Shutterstock. Half a dozen courtyards make up the Central Acropolis, with at least three dozen small(ish) residential structures which most probably housed members of Tikal’s ruling class. Here is where you’ll find the Royal Palace where Mayan kings resided for over four centuries. Strewn deep in the heart of a UNESCO-listed natural and historical reserve spanning 60 square kilometres, Tikal comprises amazing pyramid temples and expansive plazas, courtyards and palaces. In total, there are over 3,000 buildings which make up this historical treasure and experts believe much more is still hidden under the lush canopy of tropical rainforest. Home to countless wildlife including coatis, different species of rowdy monkeys and innumerable native birds such as macaws and toucans, a visit to Tikal is as enjoyable for nature lovers as it is for history buffs. 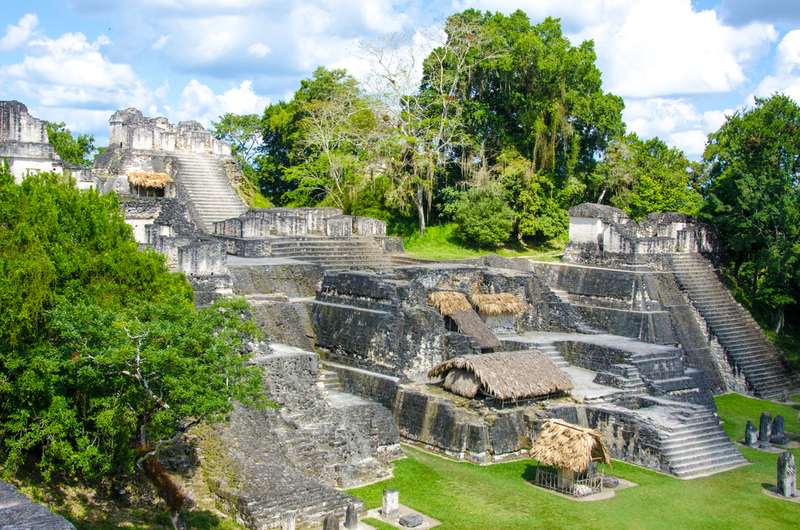 Heading on an amazing journey of Mayan discovery in Central America? 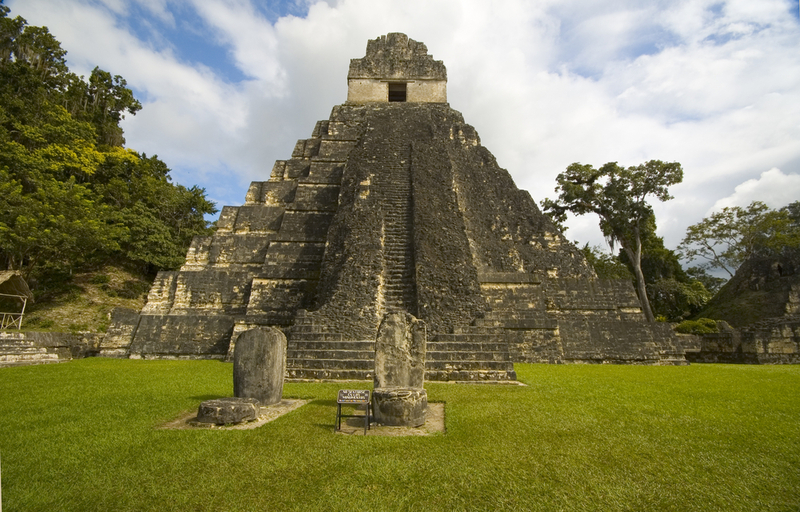 Then make sure you include a tour to Guatemala to Unravel the Mysteries of Tikal’s Great Plaza. 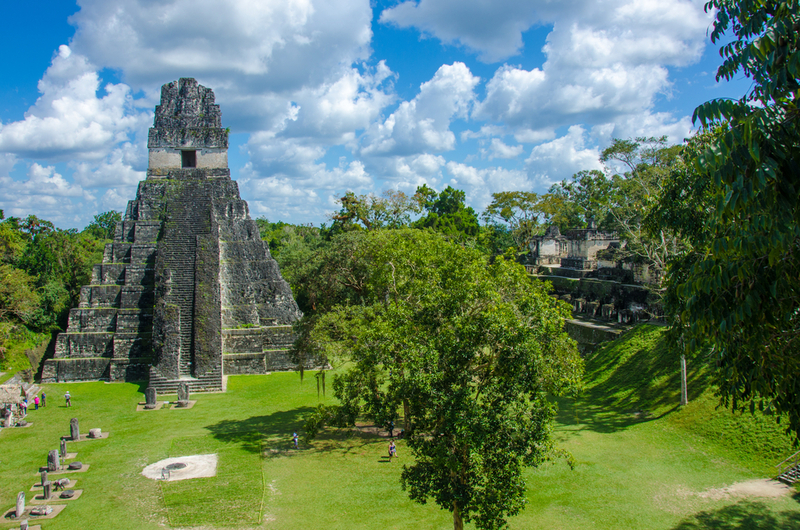 So channel your inner archaeologist and come unravel the mysteries of Tikal’s Great Plaza, and all her ancient secrets, on a Highlights of Guatemala tour. Explore this small yet immensely rewarding country for a week and you’ll have the best of her history, culture and nature all wrapped into one totally unforgettable journey.